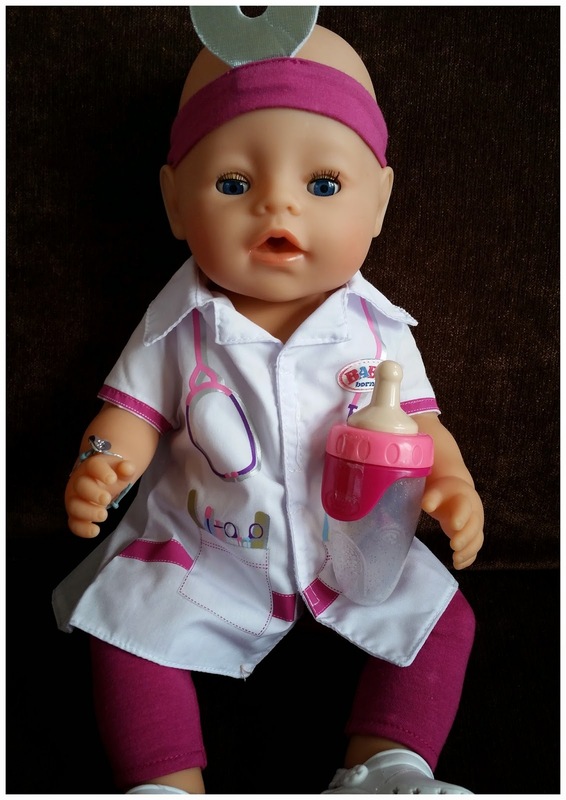 The BABY Born Interactive Doctor Doll from Zapf Creations is a beautiful 43cm posable doll dressed in a doctors uniform with medical coat, trousers, shoes and stethoscope headband. BABY born Interactive has 8 lifelike functions, includes 10 accessories and needs no batteries at all. Her functions include drinking & wetting, using her potty, crying, opening/closing her eyes, feeding and being fully bathable. 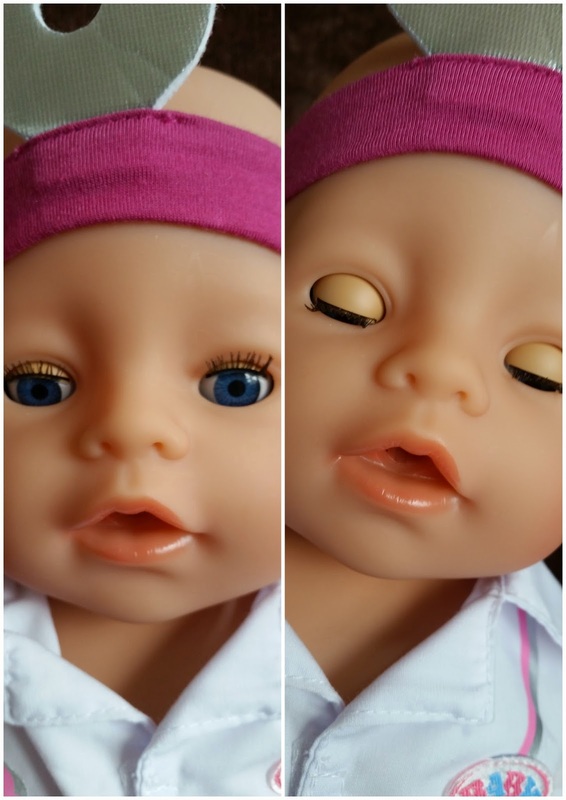 She retails at around £44.99 which is the average price for an Interactive Baby Born doll in most toy shops. 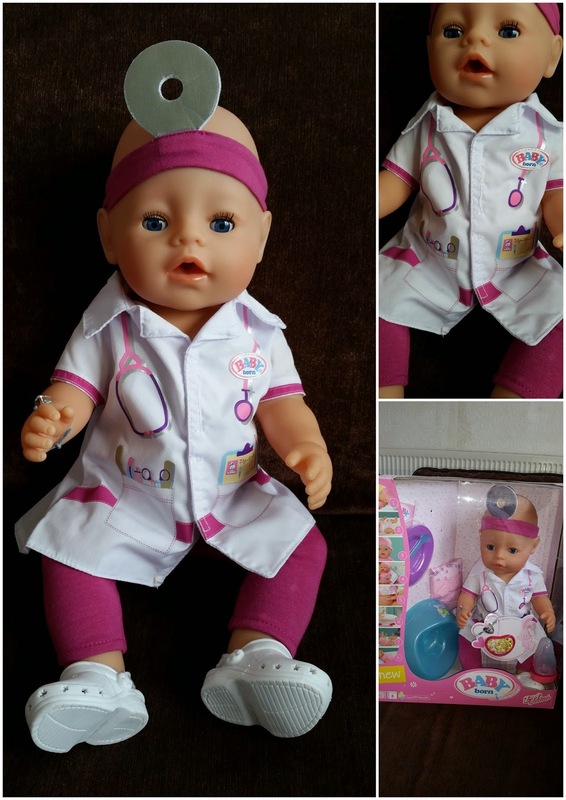 Last week Lily was sent her very own BABY Born Interactive Doctor Doll to review. Her little face lit up with excitement when she saw it. Lily who's 7 is not a huge fan of dolls as she gets bored with them really easily. I find with Lily that a doll on it's own won't hold her attention for long but a doll with a theme and accessories will keep her happy for hours. Baby Born as a dedicated young doctor brings along plenty of cute accessories: not just her usual nappy, dummy, potty etc., but also the classic doctor's white coat, perfectly fitting leggings and comfortable shoes for long days at the surgery. The first consultation hours can begin right away but when she slips off her white coat at the end of a tiring day, she likes to just be a little girl again and enjoy your love and affection. Lily loves playing Doctors, it's one of her favourite games at the moment so the BABY Born Interactive Doctor Doll was welcomed into her games with open arms. All of the accessories are lovely, Lily loved the white coat and medical headband. She loved feeding her her bottle and putting her on her potty to go 'wee wee'. Lily adored the pretty little friendship bracelet and absolutely loved the pretty doll. 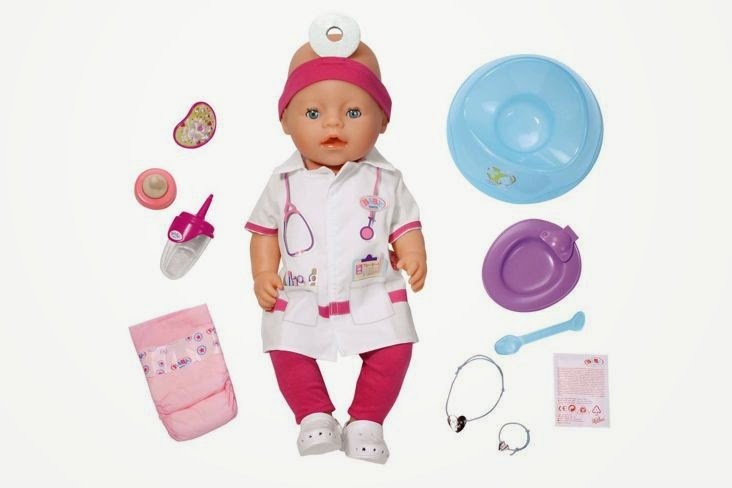 The BABY Born Interactive Doctor Doll has a really pretty face, she's such a sweet little thing. She's got bright blue eyes and gorgeous long eyelashes. Perfect pouting lips and little rosey cheeks. I've had the odd cuddle or two myself when Lilys not been around. 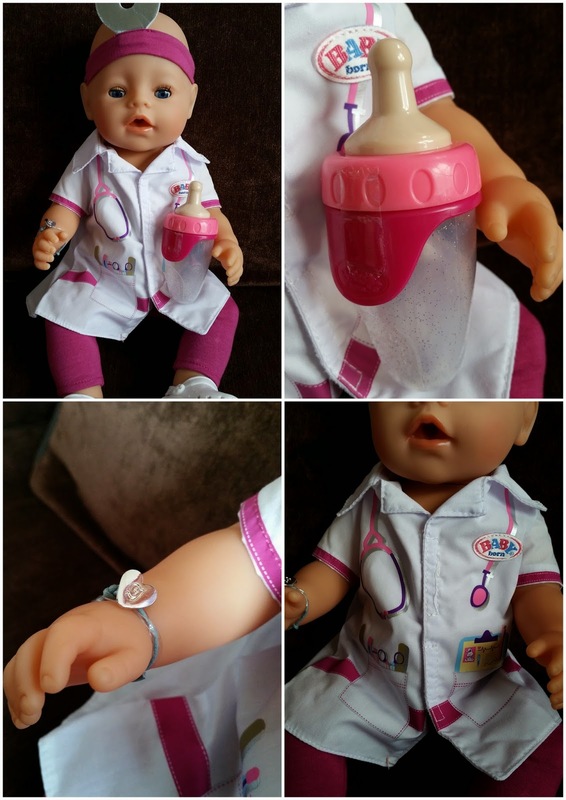 I think the BABY Born Interactive Doctor Doll is perfect for all young wannabe doctors, baby doll lovers and all those little mums in training. It's a delightful doll with so many functions and accessories. She'll never run out of fun as she doesn't need batteries and she'll never be left on a shelf as she's just too pretty for that. Both Lily and I love her, she's adorable and so much fun to play with. There's no sick dolls/teddies in our house anymore! Disclosure: We were sent a sample doll for the purpose of this review but all of the opinions expressed are 100% honest and my own. My #CBB 2014 Final Experience.